Medical Billing and Coding is one of the part of healthcare administrative degree that deals with the processing and submission of health insurance claim forms of a healthcare provider in order to obtain the payment in support of services rendered to patients. 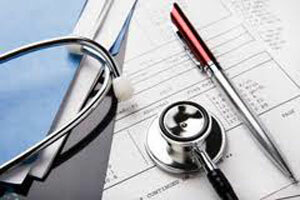 Medical billing is different from medical coding. Medical Billing is all about submitting healthcare claims to insurance companies or government authorities in order to obtain compensation for medical services offered. Medical Coding process is all about updating files of patients using a universal coding system ICD - 9 to ensure agreement with federal rules and regulations as well as fulfill requirements of insurance companies. Medical Billers and Coders are important assets to any of the hospital, doctor's clinic or any healthcare sector as they are responsible for medical records of patients, claim coding as well as the billing process. Medical billing and coding salary in May 2010 as per BLS report was $32,350. Medical Records and Health Information Technicians is the alternate name for medical coder biller. Top 10% medical coder biller earned greater than $53,430; while lowest 10% medical biller coder earned less than $21,240. Determine the type of service that can be offered basis the medical records maintained by the physicians. Translate service level into a five-digit CPT code. Deriving and maintaining code for communicating the insurance companies, patients and other healthcare experts. Interpret the code and assess eligibility of patients for claim. The job of the medical biller is to follow every aspect of healthcare insurance claim, collect all data for a particular claim and make sure that proper facility operates at minimal cost standard. Medical Coder applies the correct code to each medical procedure followed for a patient. Adequate knowledge on insurance plans, rules, regulations and compliance issues is necessary. Coders at times have to educate the health providers about the billing standards. Career in medical billing and coding is interesting for those who like to manage and follow exact procedures, work in an office, co-ordinate with insurance companies and healthcare providers. Knowledge of using the billing and coding software along with billing codes is essential. The main responsibility of a medical coder and biller is to be competent enough to maintain confidential data of every patient. Sharp memory power and regular follow up with organization for all the data related to patient are two most important qualities required in medical billing career. Research work with extra reading skill is also required. Diagnosis code (ICD-9) and a procedure code (CPT) is assigned to every examination of the patient. Through these codes, practitioners get their pay from insurance companies. Medical biller and coder work as mediators between health service professionals and insurance companies for claim procedures. Careers in Medical Billing and Coding might provide various employment opportunities in healthcare industry. Top healthcare as well as medical billing and coding online schools offer accredited medical billing coding courses, degree programs, diplomas, training and certificates. In every medical billing and coding program, mode of study can be online as well as campus-based. You can get information on different options including tuition fees, course offered, degree choices available in different healthcare colleges and schools, online classes, distance learning medical billing programs, financial aid, adult education and many more upon request. Ideal for: Associate of Science in Medical and Coding prepares graduates for entry-level positions in healthcare professions such as Medical Billing Specialist, Billing Supervisor, Insurance Claim Analyst, Medical Coder and many more. After successful completion of the degree, students learn the coding method related to health service and the processing of claims with insurance companies. Students may also seek a Bachelor's degree program in Health Information Management for higher-level management positions in the healthcare industry. Ideal for: Entry-level job in healthcare industries like home health agencies, nursing home, medical group practices, insurance and medical billing company, doctor's clinics, offices and hospitals. U.S. Bureau of Labor Statistics forecasts 21% growth in medical billing and coding jobs through 2018. Presence of Affordable Health Care Act as well as potential penalties and fines levied for mistakes committed in medical sector, together might enhance the requirement for certified medical billers and coders.